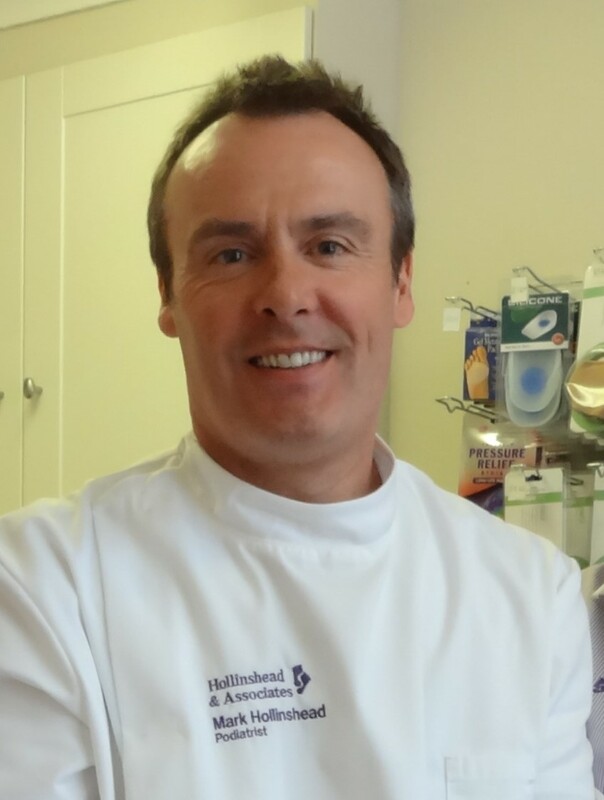 Mark was educated in Crewe before studying Podiatric Medicine at the Northern College of Chiropody Salford, graduating in 1989. In addition to being a senior partner in the practice Mark has worked part time for the local NHS Podiatry Department. In 1991 Mark was appointed by the local NHS Community Trust to set up a Nail Surgery Unit which specialised in the conservative and surgical treatment of ingrowing & traumatised toe nails, a position he held for 12 years. Over which time Mark gained a reputation for excellence in the field of Nail Surgery/Ingrowing toe nails. In 1999 Mark gained qualifications in the use of Electro-surgical Desiccation & Hyfrecation for the treatment of Neurovascular Corns and resistant verrucae. This surgical procedure can offer patients with verrucae and corns (that have proved resistant to more conservative treatments) the opportunity of a much higher rate of cure than other more traditional treatments. Mark was amongst the first Podiatrists in the UK to undertake the Multiple Puncture/Needling technique for multiple verrucae and large surface verrucae. Additionally Mark runs our Cryotherapy clinics treating thousands of hand warts & verrucae each year. Since investing in a Class 4 Nd YAG 1064 Laser Mark is one of only a handful of Practitioners in the UK who is able to treat warts and verrucae with medical Lasers, the 'Gold Standard' of treatment for such lesions. Laser technology also allows Mark to treat fungal nail nail infections more effectively. Mark also utilises Photoplethysmography (PPG) equipment to undertake our Diabetic Vascular & Sensory testing using PPG. This provides our patients with the very best in Podiatric Diabetic vascular & sensory testing. Being Prescription only Medicines (PoMs) registered, Mark can provide patients with antibiotics and uses injectable steroids as part of his scope of practice. 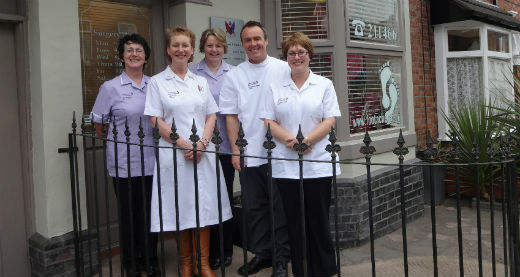 Mark has been the club Podiatrist for Crewe Alexandra since 1995. Mark is in attendance at the practice every week day and alternate Saturday mornings. Sarah joined our Practice in 2010 after graduating as a mature student from the Northern College of Chiropody at Salford University in 2010. 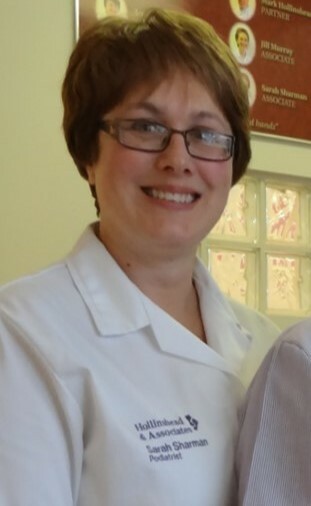 During her training Sarah gained a wide variety of experience within the local community, domiciliary and specialist NHS Podiatry Departments, and acquired the certifications necessary to administer local anaesthetics and dispense some prescription only medicines. Sarah is particularly passionate with regard to Biomechanical dysfunction of the foot & lower limb. The manufacture of insoles and orthotics is therefore an aspect of Podiatric Medicine with which she enthuses. Sarah also utilises Low Level Laser for muscular-skeletal pathologies (Tendonitis, Plantar fasciitis, muscle tears etc). Sarah also undertakes Wilde-Pedique Nail Reconstruction, a technique that gives damaged and diseased toenails a healthy normal appearance. Sarah is in attendance at the practice every Monday, Wednesday and Thursday. 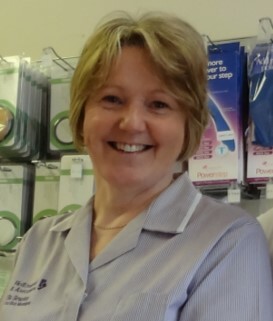 Jill graduated from the Northern College of Chiropody in 1979 and has since worked in both the NHS and Private Practice. Jill has worked at our practice since 1994 and is in attendance on Fridays. 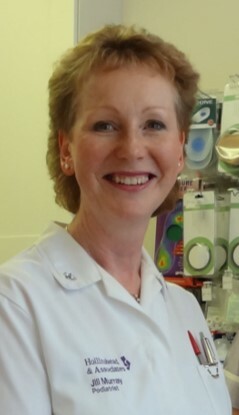 Els joined the practice in 1997 and was appointed practice manager in 1999. She is responsible for all aspects of running our practice, including resource management, accounts, recruitment and training. Being ‘the boss’ Els ensures that the Practice runs efficiently and that the clinicians are all kept ‘on their toes’ ! An has been one of our receptionists since 2002. Her role involves clerical/secretarial duties and stock control. 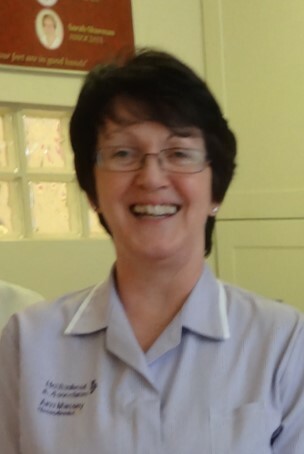 As very much being a ‘people skills’ person, Ann ensures that all of our patients are made to feel welcome and appreciated.